Salarpuria Sattva has announced the prelaunch of their new project called Salarpuria Sattva Aspire Bangalore located at Hennur road. 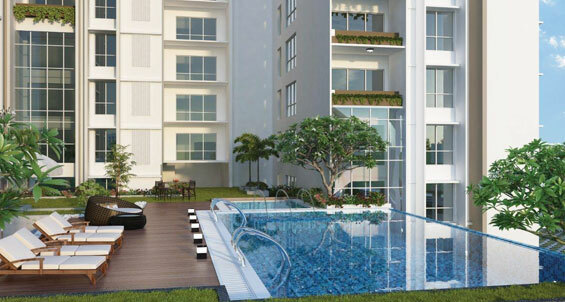 This project spread over 1.7 acres of land and will offer 3BHK apartments in 3 Towers of G+12 Floors each. 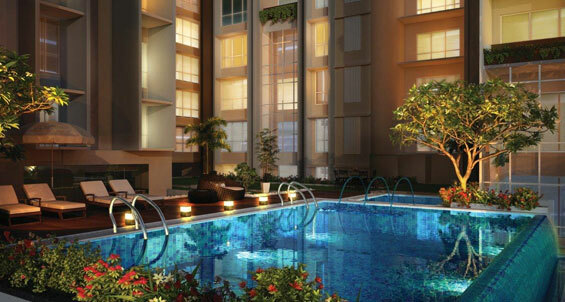 The apartment ranges from 3BHk (1832-2093sqft) and price starts from98 lacs. 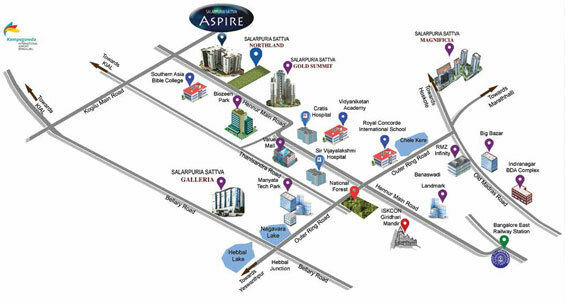 Salarpuria Sattva Aspire is located on the well established residential area. This project is close to schools, shopping malls and hospitals proximate to Metro stations. It is just about 10 minutes from Manyata IT Park. Hennur Road to the airport as well as the widening of roads for greater connectivity is huge pluses. Built on trust, innovation and knowledge-leadership, the Salarpuria Sattva Group is one of India's leading Property Development, Management and Consulting organizations. Founded in 1986 with the primary focus of developing high quality constructions, the Group has attained leadership positioning in the field and is one of the most preferred brands in the country today. Having pioneered the early development landscape in Bangalore and literally shaping the city's skyline since the mid-80s, the Group has a diverse portfolio of world-class IT Parks, commercial, residential, hospitality and retail properties.